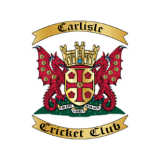 Make sure you're properly prepared for a new season when Carlisle CC's age group and senior net sessions start this month. Training for all members gets underway on Sunday February 24th at Trinity School's excellent new sports hall with the best lighting and flooring around. The cost per person is £20, payable at the first session. Cheques can be made out to CARLISLE CRICKET CLUB.